8 1/4" x 7 3/4" x 3"
5 1/4" x 5 5/8" x 2 3/4"
5 1/4" x 5 5/8" x 3 1/4"
6 1/8" x 6 1/2" x 3 1/4"
8 1/2" x 4 1/2" x 2 1/8"
9" x 5 3/8" x 3 1/2"
9" x 8 5/8" x 3"
9 3/8" x 6 3/4" x 2 1/8"
9 3/8" x 6 3/4" x 2 5/8"
9 3/8" x 6 3/4" x 3 1/8"
13 3/8" x 6 3/4" x 2 5/8"
Show off your mouthwatering baked goods, sandwiches, salads, frozen foods, and more with Dart’s StayLock clear hinged lid containers. StayLock containers are available in both OPS and PETE, which both have crystal clarity with superior product visibility, as well as being flexible, yet durable. In addition, PETE StayLock has exceptional performance in cold temperatures and accommodates freezing down to -40 degrees Fahrenheit. Our StayLock containers feature dual bowtie bar locks, which provide an audible snap when engaged, ensuring a secure container closure. 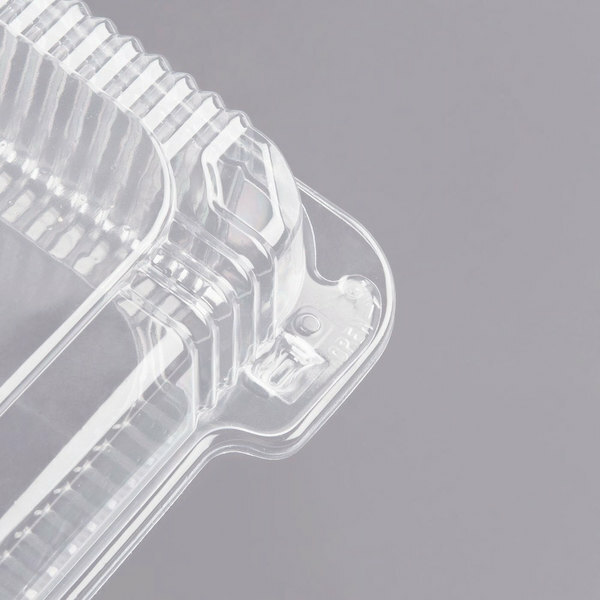 The opening tab, embossed opening instructions, and dimples on the opening tab, which create a slight separation between them, make our containers easy to open. Each container has a registered stacking platform, enabling multiple containers to be securely stacked—one on top of another—for display and merchandising purposes. If you apply labels to your products, then you’ll love StayLock’s label window, especially designed to house product labels and tamper-evident seals. We also incorporated sidewall ribbing and tempered corners into our containers for extra strength and durability. 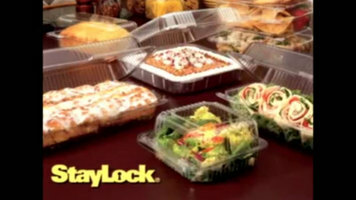 StayLock clear hinged lid containers, available in a wide variety of sizes, are the clear choice to drive home impulse sales. Contact your Dart sales representative today for additional information and samples. Check out this video to learn about the benefits of Dart's StayLock containers! 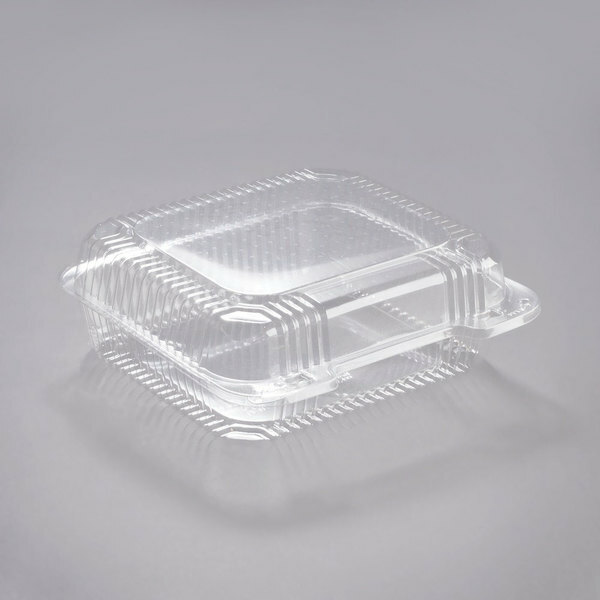 Featuring crystal clear construction and superior durability, these containers are great for merchandising and retail applications! Can I use this container for hot foods? 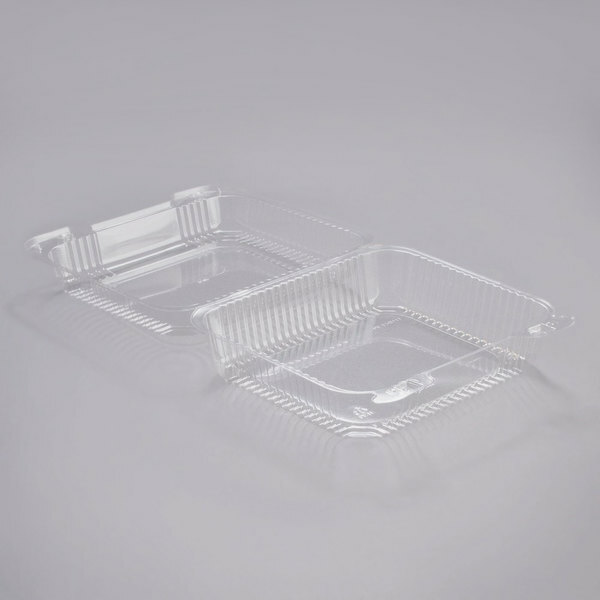 This container is designed for use with cold foods only and should not be used in a microwave. Ensure food safety while offering optimum product visibility with this Dart PET51UT1 StayLock medium clamshell container! Featuring dual bar-locks for a secure closure, this container is guaranteed to offer a safe, secure closure, even after repeated openings. It's rated to -22 degrees, making the options endless when it comes to what to merchandise in this. The Dart PET51UT1 medium container is designed with a label window for placement of a tamper evident seal (sold separately), giving you and your guests peace of mind in merchandising. Sidewall ribbing adds the strength and durability needed for commercial use, while the stackable design makes it ideal for retail applications. 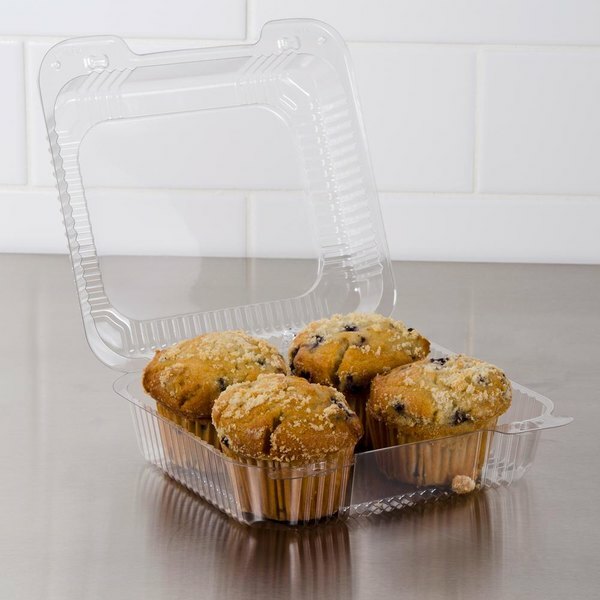 This container is made of flexible, yet durable, PET plastic that's crystal clear for superior product visibility and increased impulse sales. 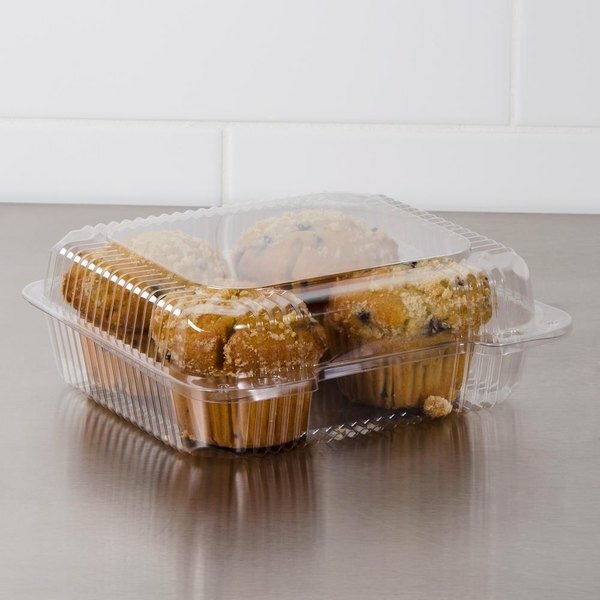 Its hinged design eliminates container and lid confusion, while consolidating product inventory.